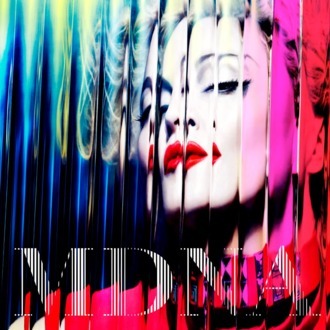 Madonna’s MDNA, her twelfth album and her first in four years, will land Billboard’s No. 1 spot this week, having sold a respectable, but not quite gold-certified, 359,000 copies in the U.S. At eight No. 1’s, Madge is now just an album away from Barbra Streisand’s all-time female recording artist milestone of nine chart-winners. But for those who don’t care about that and only want details on how Madonna’s performing against herself, here’s the rub: MDNA beat the first-week sales of 2008’s Hard Candy, 2005’s Confessions on a Dance Floor, and 2003’s American Life, but didn’t move as many copies as her 2000 record Music. Looks the the Super Bowl halftime thing did the trick.